Every Louvred Door is individually engineered and custom made to order. Tristan Specialist Doors Louvred Doors are specifically designed for remote sites where ventilation is required and vandalism anticipated (Bin Stores, Substations). 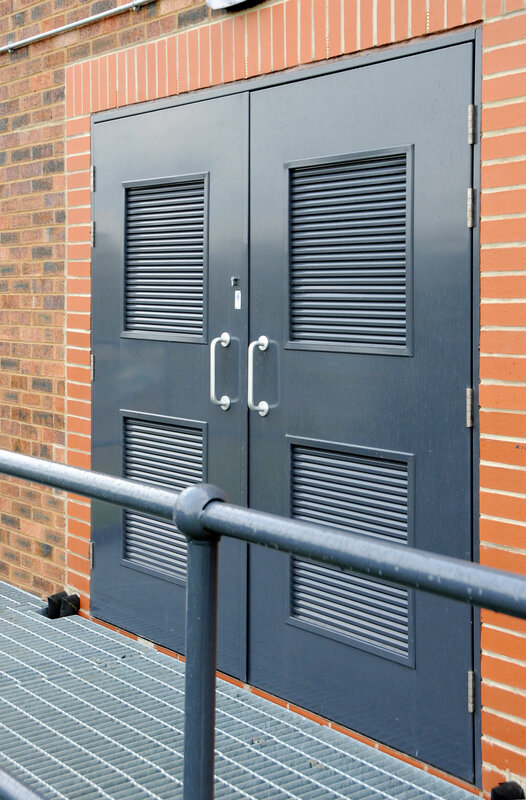 Built for strength and lasting construction, TSD Steel Louvred Doors are the obvious choice for replacement of wooden doors on electricity substations. Other applications include use as local authority Bin Store Doors. TSD Louvred Doors are perfectly ventilated.